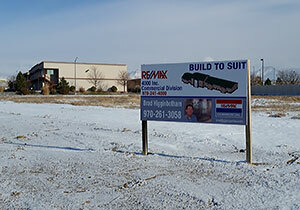 Design/Build - 1,800 SF full finish office addition to wood framed office/warehouse building Ford Construction Designed and Built in 2012. The clients fast growing business was in need of additional office space and was achieved with this building design for two open office areas to be furnished with cubicles. The increase of building occupancy required an additional restroom and tie into the existing supply and waste lines, requiring demo of the concrete slab in the existing building. 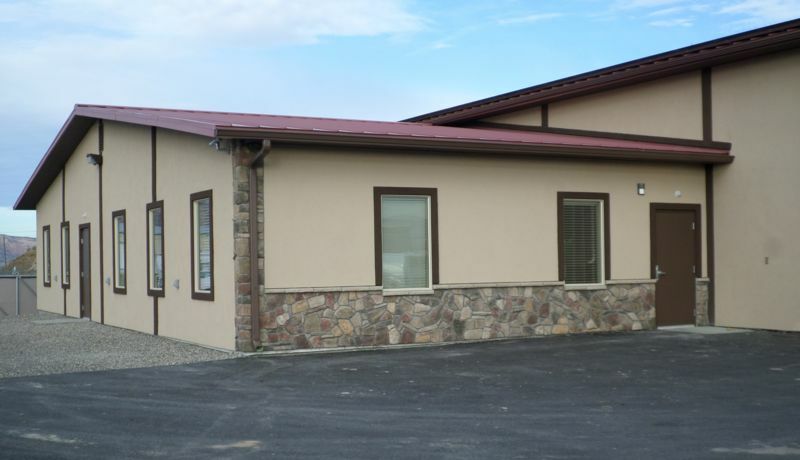 The wood framed addition was completed with stucco/stone facade and standing seam room, additional asphalt parking and landscape. The client also purchased the lot to the West and work included to remove misc slabs and asphalt, shape and grade the lot for proper drainage finished with gravel.